Tilted Horizons: Aerostich 20% Off Sale! 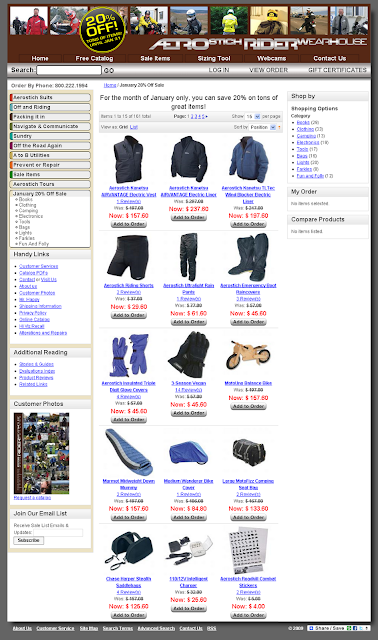 Aerostich/Riderwearhouse is selling many popular items at a 20% discount thru the end of the month, thereby providing an all-too-easy way to rid oneself of any pesky cash that may have survived the Christmas season, or to make up for Santa's failure to understand simple requests. (I mean, does "insulated Triple Digit glove covers" sound anything at all like "socks"?? ).